(NEWSER) – Guinness World Records has officially ruled: an audio lab at Microsoft’s headquarters in Redmond, Wash., is the quietest place in the world. Though Building 87 on the Microsoft campus is home to three anechoic, or “free from echo,” chambers the company uses to test audio technology, the largest is “unimaginably quiet,” testers say, according to Science Alert. It helps that the room is covered in “wedges” made of sound-proofed material and built on springs to cut down on vibrations. But how exactly do you decide which is the quietest place on the planet? It comes down to a sound measurement. 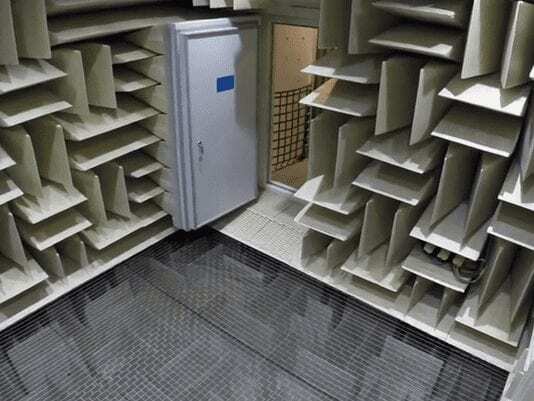 The silence inside the chamber measures -20.6 dbA (decibels A-weighted), compared to -13 recorded at the Anechoic Test Chamber at Orfield Laboratories in Minneapolis back in 2012.